I watched Tom and Jerry cartoons when I was a kid. They would be on after school. 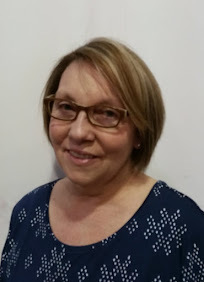 They have been on for so many generations of kids to enjoy them. Its funny how no one talks but laughter happens. Funny enough my son has inherited my husbands sense of humor, physical humor. Tom and Jerry cracks him up. He calls is Cat and Mouse since he can't remember their names yet. He loved that this was the Pumpkin Movie. All things Halloween to him are pumpkin. This was a fun one to watch as we are getting ready for Halloween. Tom and Jerry Tricks or Treats seems to have more tricks for Tom than treats! That Cat is always getting into some sort of trouble. This is a cute Halloween DVD for Tom and Jerry fans. Tom and Jerry are in for spooks galore in this monster collection. With 20 eerie episodes plus two bonus episodes, your goodie-bag will be overflowing with fun! Tricks and treats are at every turn, from ancient Egypt to Transylvania, from creepy houses to haunted forests, the hair-raising hilarity is non-stop! Our favorite cat and mouse mingle with ghosts, mummies, werewolves and witches in these terrific tales. Of course Tom and Jerry have a bounty of tricks up their own sleeves as well! Fear not, the chase is on! It's a scare-iffic good time for the whole family! 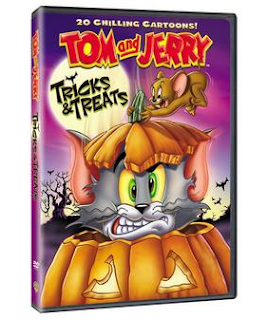 You can buy Tom and Jerry Tricks & Treats online at the WBShop or in stores like Walmart.